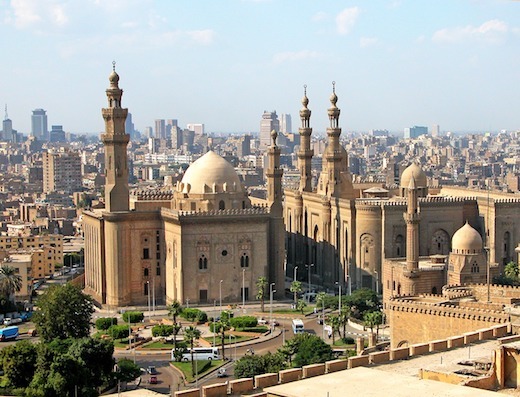 This city of 20 million on the banks of the Nile River is an incredible mix of old and new, from Tahrir Square and the vast Egyptian Museum in Old Cairo to the modern Cairo Tower on Gezira Island. The Pyramid complex and Great Sphinx are nearby in Giza. Yes, Cairo is overpopulated, congested, and polluted. But, there is a growing running culture in Cairo — different than it was even a few years ago. Still, this is not your typical city for running. There aren’t much in the way of large parks or paths. And you can’t just run along the average traffic-choked street. 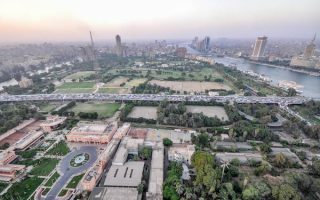 But there are some good spots — use this as a guide to find the best and safest spots for running in Cairo. 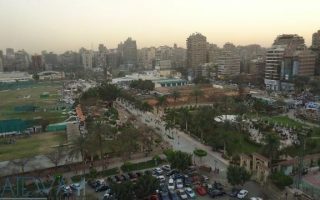 The best place to run in Cairo is on Gezira Island and the leafy streets of the Zamalek district. There’s also decent running in the Maadi, Dokki, and 6th of October/Arkan areas. 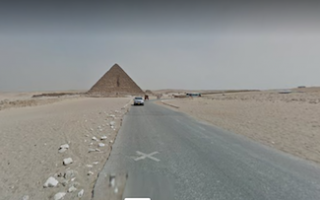 And one can run near the Pyramids — the perimeter roads and paths are runnable and afford good views of the iconic sights. Cairo is famous for its traffic. There is a metro system covering a limited geographic area. And there are buses. NOTES: It is best to run early to beat the traffic and heat–the air quality can be very poor. Also, we’ve been told by locals that women should not run in short pants. 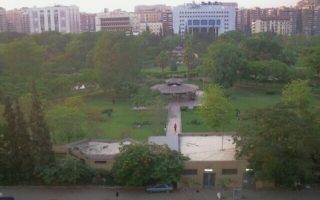 Gezira Island is one of the best spots for running in Cairo. Run along the Nile River for 4+ km, the residential side streets in the Zemelek neighborhood on the northern side of the island, and around a horse track in the Gezira Sporting Club. One can put together a decent run in this area, in Giza city on the western bank of the Nile. The streets around the Shooting Club are decent for running, or extend a bit further to the Botanical Garden and the campus of Cairo University. 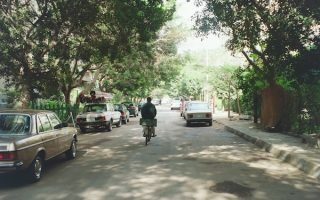 This leafy suburban district 12 km south of downtown is one of the safer and greener spots for running in Cairo. We recommend running the streets around Cairo American College, and along Zahraa al Maadi. 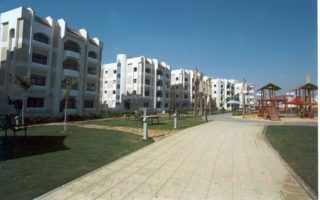 This area 30 km west of Cairo and near Giza is populated with tourist hotels and expat residents. The residential streets around Arkan/Zayed 2000, and in the Zayed International Park/Beverly Hills residential area are good for running. You won't do 'pyramids' at the Pyramids, but it IS possible to run near this historical site. There's no set path, but if you keep your distance, you can run along some of the outside perimeter roads and paths, while capturing some great views. Nasr City is the largest district in Cairo. It's very densely populated. The best bet for running is ~1.5 km of paths in Child Park, off Makram Ebeid. For a longer run, head over to the International Garden, about 2 km away, on runnable streets. Cairo has a desert climate, which definitely affects running in this dense city. From May to September, high temperatures average in the 90s to near 100F (32-35C), with even nights staying warm (18-22C). Winters are mild to warm, with highs near 70F (19-21C), and you’ll need a layer at night as temps cool into the 40s and 50s (9-14C). The climate is dry, with fewer than 10 wet days a year and none in summer. Air quality in Cairo is notoriously poor, and there can be dust storms. Cairo is a huge city, with hotels everywhere. But it is helpful to stay near some of our good running spots. There are good hotels near our routes in Zamalek, Dokki, Maadi, and in the 5th Settlement District. There are not any independent running stores in Cairo that we know of, but there are outlets of some of the major apparel and shoe companies — Reebok, New Balance, and Nike. There’s a good cluster of stores near Lebanon Square in Giza, and some stores near the Shooting Club and Cairo University. The biggest and most famous is the group called Cairo Runners. They have weekly group runs which attract — literally — thousands. Other groups are the Maadi Runners and the Zamalek Runners. None of the running stores that we are aware of hosts regular group runs. There isn’t the number of running events one might find in other major cities, but the running culture in Cairo is growing and there are a few races. El Gouna International Half Marathon. October.